To celebrate Dyslexia Awareness Day in 2014 I held a charity Coffee morning at the First In Last Out in aid of Dyslexia Action. 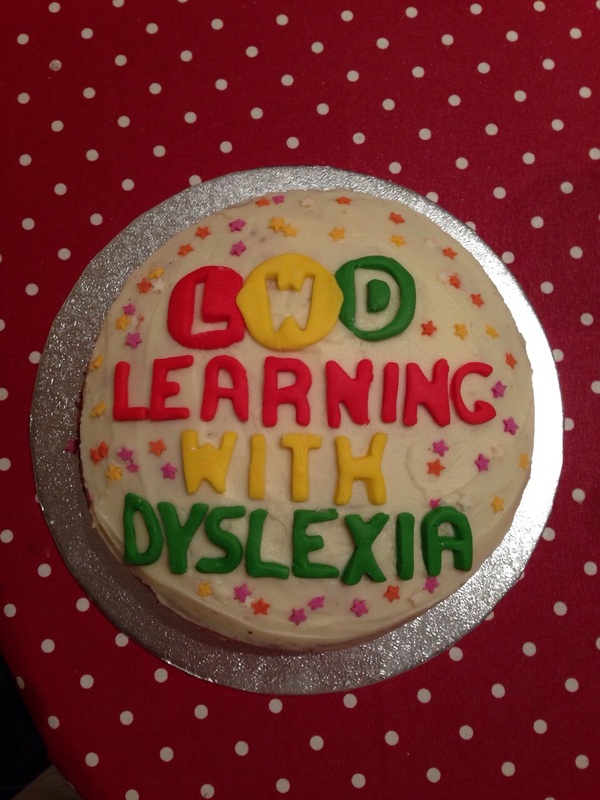 It raised over £200 and raised awareness of dyslexia in my local area. I met lots of interesting people. My amazing friend Becky made this super cake for the event!